When I look at my life as a researcher and how I ended up in the world of academic research, I can't help being surprised.I never saw myself as excelling in academics. I thought I was an average student whose percentage hovered around sixty most of the times. Had someone told me when I was doing my graduation that I would end up writing a PhD dissertation or research papers and hopping from one national conference to another international conference, I wouldn't have believed it. Nor would I have believed it if someone were to tell me that I would be teaching obscure literary theory and criticism to postgraduate classes and writing books on translation theory. In short, I never dreamed of being a research scholar or university teacher. What I dreamed of when I was a kid was to be a terrific cricketer. I used to play lots of gully cricket with a tennis ball or a rubber ball in my friend Tejas's cemented compound. However, I was scared of fast deliveries and used to get out very early most of the times. As a bowler, I am credited for giving away a couple of million runs and as a fielder I might have given away billions of runs. I ran slower than others, thanks to my weight, ill-health and probably, knock-knees. The more I failed more I fantasized of becoming a cricketer. I thought I will never be good enough for physical sports. In my early teens, the eighties, I decided that the only way to overcome my failures as cricket was to have lots of knowledge about the game. I started keeping a diary and hoarding plenty of information about the game from magazines like ' Sports-star' and the newspapers -there was no Google in those days, friends- in Valsad library. I even learned how to bowl a googly from a book. I made a decision that the only way to excel in performance in a game was to acquire lots of knowledge about it. Knowledge acquisition became a habit, a habit that was formed in response to my perceived failure to be a sportsman. The habit consolidated when the asthma became more and more chronic. By the time I was in my twelfth standard I discovered that even if I jogged for two hundred meters, I would not only be out of breath, but my lungs would hurt very badly too. When I was in my teens, I had a series of one-sided crushes started with a one sided love for a girl in my school-bus in the seventh standard. I found myself on the wrong side of these ' one sided' travails. I said to myself that I am timid and can never express my feelings and emotions to the girl I loved and that I was a failure in love. When I fell in love at the age of thirteen, I did not know there was something like love and had I really gathered courage and spoke to the girl, I don't know what I would have said! I said to myself, I don't know what happens to me when I fall ill, I don't know what happens to me in such situations- I must try to understand what's wrong with me. And I tried to cope with or overcome my sense of failures with the drive for knowledge acquisition. I tried to 'understand' what was wrong with me and how could I fix it.I read voraciously on occultism in my twenties and thought that if I could have occult powers, I would be able to overcome all failures of my life. I read on Yoga and occultism and tried to actually practice it. I thought the best way to overcome the sense of failure and the idea that I was weak was to acquire more and more knowledge. What I actually gathered was a tremendous amount of absolutely useless information like what was the colour of agna-chakra or what is a chinaman or how is the Petrarchan sonnet different from the English sonnet-or how Derridian 'differance' undoes the architecture of western thought.The drive for knowledge acquisition became my habitual way of being. It has played a role in whatever success I have got till now, but even then, it was constituted to survive and fix what I thought was 'wrong' with me, and so more I went about gathering knowledge, more unfulfilled I was. It was a habitual way of being put in place to compensate for lack of power and effectiveness in my life and the more I practiced it the more powerless and ineffective I felt in life. So whenever, I perceive something is wrong, I bring out this habitual mode of being to deal with it- I try to 'understand', 'analyze' and 'research' that problem instead of taking actual actions needed to deal with it. So here it goes-I selected ' Translation of Narsinh Mehta's Poetry into English: With a Critical Appreciation' in order to' fix' what was wrong with my cultural identity- I saw myself as a 'rootless' person- having no real language or land of his own- a Maharashtrian born and brought up in Gujarat and teaching English literature to students who are neither interested in English nor in literature. I thought translation was a strategy to overcome my own cultural predicament and overcome my cultural alienation. I thought writing poetry in Marathi would help me overcome this estrangement. Obviously, neither of the strategies worked. This habitual mode of being that is more or less productive and that has given us some results in life is called a 'strong suit' in the language of Landmark Education. The strong suits are past-based and work in the default context of human life: survive and fix something seen as wrong or shouldn't be.It is our personal 'best practice' but it is incapable of giving us 'breakthrough' results in life where we are struck- had it been so capable it would have created breakthrough results by now. In fact, the strong-suits often result in misery. This drive for knowledge acquisition isolates me from friends and people in life who don't have such drives, I am estranged from them and I end up living in the world of loneliness and suffering.What actually was coming between me and my wife was my intellectual arrogance. It often has a negative influence on my performance. The Landmark Education points out how 'knowledge' doesn't necessarily lead to action- that there is no ' cause-effect' relation between knowledge and action ( Hamlet taught us something like this - but then Hamlet was all about 'literature' for a student of literature). Steve Zaffron and Dave Logan in The Three Laws of Performance point out that the real source of our action is how situations or people 'occur' to us. Knowing how to control anger or fear or how to reduce weight does not necessarily lead us to taking actions- when the situation 'occurs' infuriating we are angry -no matter what formulas we have memorized or what knowledge of anger we have. So how does one become a researcher? Most of the discussion of research seems to focus entirely on research methodology, or theory of research. However, the question of 'how to be a researcher' has hardly received any attention, probably because of the assumption that 'knowing how to do research effectively' will automatically lead to 'being an effective researcher'. Though this assumption looks logical enough, in actual practice the knowledge of 'how to do' research' hardly seems to lead automatically to ' how to be a researcher'. The crucial distinction which seems to be missing in the most of such discussions is the one between 'being someone' and 'knowing how to do something', that is 'being' is distinct from ' knowing' or 'having'. For instance, 'knowing about scientific method or having scientific knowledge' as being distinct from ' being a scientist', or 'knowing how to cook' being distinct from 'being a cook', or even 'knowing how to raise children' is distinct from 'being a parent'. Similarly, 'being a manager' is distinct from ' knowledge of how to manage'. If one asks 'WHO is a scientist?' or 'WHO is a doctor? ', we realize that the scientist is not just a person who knows 'how to do' science, and the doctor is not just a person who 'knows' medical science, though it is just a part of who he is. A scientist is not just a scientist when he is in the laboratory or a seminar hall or library, a scientist is a scientist even when he is playing with his children, and a doctor is a doctor even when he is with his girlfriend. Entire life seems to show up as laboratory, seminar hall or library for someone who IS a scientist. The scientist IS a scientist not when he HAS scientific outlook but the scientist IS a scientist when the scientific outlook HAS HIM. A scientist is not 'somebody who USES scientific method, the scientist is the person who is USED BY scientific method. 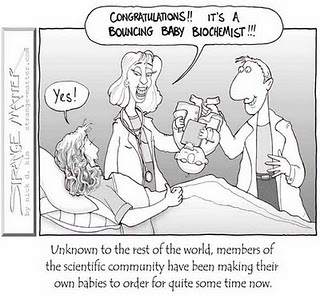 Hence, while we think that being a scientist or a parent is all about knowing 'how to do science' or how to parent' well, it seems that it is 'being a scientist or a parent' leads to 'knowing how to' do these things. Therefore, it seems that the researcher is not a person who 'uses' research methodology, but someone who is used by research methodology. A literary theorist is not someone who 'uses theoretical terminology' but someone who is used by theoretical terminology. One is a critical theorist not when one 'knows how to to think critically', but someone who is used by critical thinking. A researcher is not someone who 'has research skills' but someone whom research skills have. You become a researcher not when you 'learn how to do research' but when the research starts having you, and you no longer use 'research methodology' but research methodology starts using you. The research or scientific outlook becomes the context of the researcher's life and the whole life shows up inside this context.The activity of research and writing dissertation, thesis or research report , then, becomes a natural expression of who the researcher is, much in the same fashion as a poem is a natural expression of who the poet is or parenting is a natural expression of who the parent is. The above observations are counter-intuitive and out-of-the-box, but I think they will definitely be useful to people who want to 'do research'. I owe these insights to the profound ontological technology developed by Werner Erhard, one of the greatest and unacknowledged educationists of our times. Indeed, such insights start showing up when the ontological technology made available by Landmark Education start using you.